The Rowley Hills form part of an irregular ridge which extends from near Sedgeley through to Frankley. This divides the Black Country into two parts; to the northeast the land is mostly flat and drained by the River Tame and its tributaries, and to the southwest it is more hilly and drained by the River Stour and its tributaries. Turners Hill, at 271 metres, is the highest point in the West Midlands. Due to their elevation, on a clear day it is possible to see for many miles from the Rowley Hills. Phil Drabble pointed out in his 1950s book about The Black Country that Darbys Hill was the only place from which almost all of the Black Country can be seen. Much more distant vistas can also be seen from Darbys Hill; various Welsh mountains have been observed including the Berwyns (60 miles), the Arans (72 miles), the Black Mountains (around 60 miles) and the Brecon Beacons (73 miles). It is also possible to see the North Staffordshire and Derbyshire areas of the Peak District, as well as the small part of the Peak District in Cheshire. During the Carboniferous Period 318 million years ago, the Black Country was located near the present-day Equator, and its climate was humid and tropical. It was covered in swamps, where sediments, sands, silts and muds were deposited. When the plants growing in the swamps died, they too were buried, developing into coal over time. These rocks, containing the swamp sediments and coal seams, are known as the Coal Measures. Earthquakes caused the swampy environment to gradually become more elevated, improving the drainage; it became a periodically flooded river plain where clay sediments were deposited. The rock formed during this phase on top of the Coal Measures is known as the Etruria Marl. The earth movements that uplifted the area also created faults and rifts in the Coal Measures and Etruria Marl, and caused volcanic activity. Molten magma was intruded into the faults and solidified to form dolerite rock, which is locally named the Rowley Rag. This is a hard, dark-grey, medium-grained crystalline rock, formed from minerals including feldspar, olivine and pyroxene. Its relative hardness means that the Rowley Rag weathers and erodes very slowly, leaving it standing above the surrounding rocks to form the Rowley Hills. Due to its iron content, surfaces in contact with the air are rust-coloured. 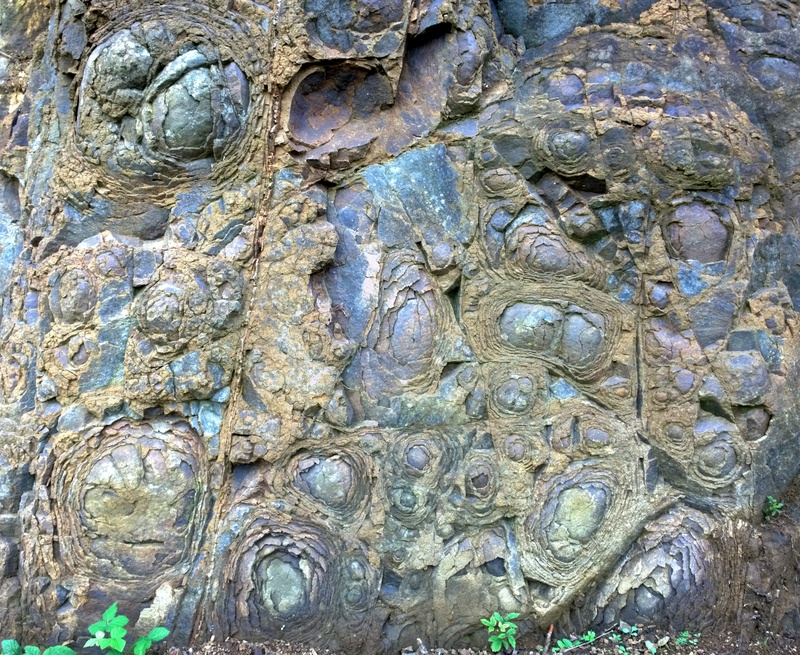 It has a tendency to form spheroid shapes which peel off in layers during weathering. Good examples of this can be seen in the former Blue Rock Quarry on Portway Hill. Columnar jointing can also be seen, caused by cracks which formed when the magma originally cooled and contracted. Due to the symmetry of the crystals which comprise the Rowley Rag, these columns often have a hexagonal cross-section. Early spring is the best time to view these features, as they can become obscured by vegetation later in the year. The Rowley Hills were further shaped and eroded by glaciers around 300,000 years ago during the Ice Age. Glacial Till and Head deposits of boulder clay, pebbles and dolerite debris left by the ice have been found in places on the hills. 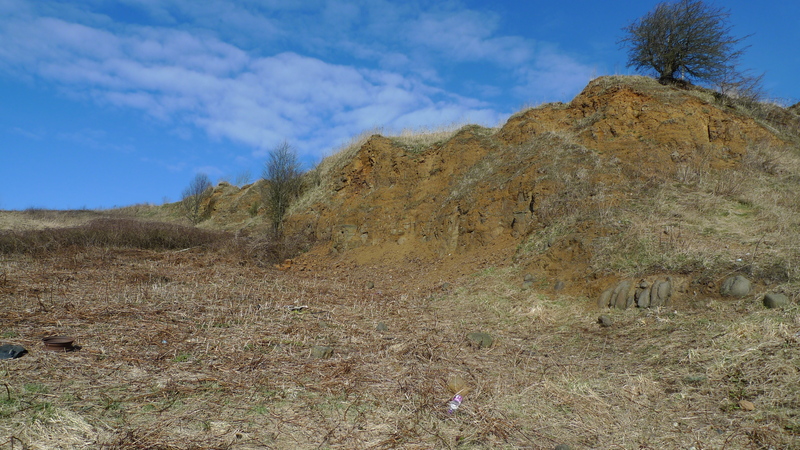 Sandwell Council, Dudley Council, The Black Country Geological Society and The Wildlife Trust for Birmingham & the Black Country have produced the following two excellent illustrated leaflets which tell you more about the area’s geology. The Black Country Geopark celebrates the area’s huge range of internationally important geological sites and landscapes, with the aim of managing these through protection, education and sustainable development. 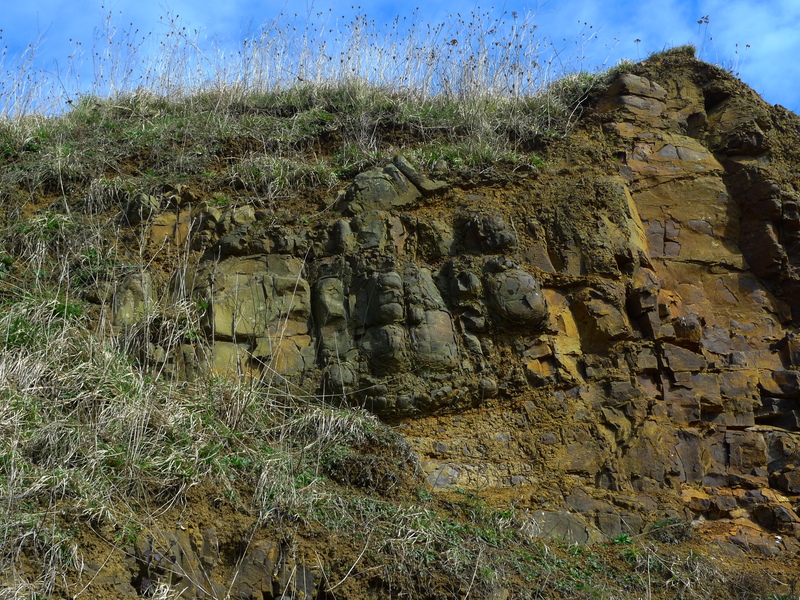 There are two Geopark sites within the Rowley Hills, Blue Rock Quarry and The Rowley Hills; follow the links for descriptions of the geology of each site.